Kavaja is located in the central part of the Western Lowland region of Albania's Adriatic Coast. 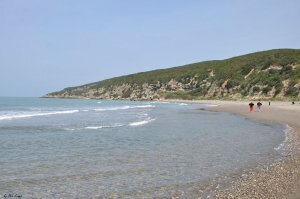 It is known for its clean, untouched beaches surrounded by pine forests. 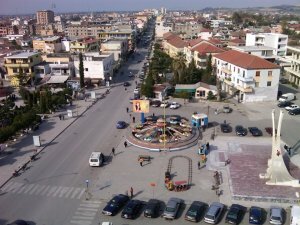 It borders Durres to the north, Lushnja District in south and Tirana District in the east. 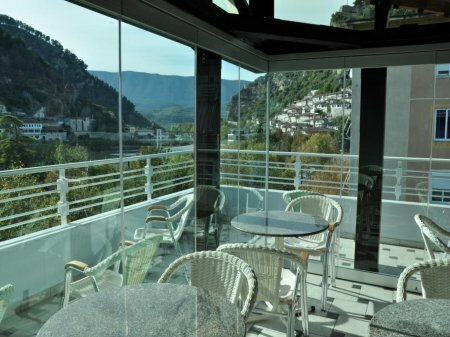 To the west it touches the Adriatic Sea with a coastline of 36.5 km. The coast is mostly flat with plenty of sandy and gravel beaches. 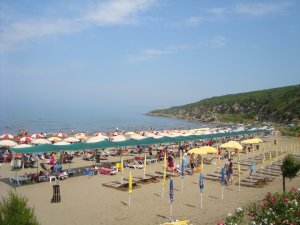 There are 8 main beaches spread along the coastline: Golem, Mal i Robit, Karpen, Carina, General's Beach, Spille, Greth and Vilë-Bashtovë. In Kavaja you can visit The Ethnographic Museum completed in 1971 and built on a restored building with a hajat (gallery), the type of which was widespread throughout the 18th century. Its architectonic origin however dates back to the late antiquity in the typology of a "villa rustica", commonly present in the region. Craft works composed in ceramic, copper and textiles from local craftsmen representing the city and the region are present for display. Other Cultural Monuments found in Kavaja District: St. Friday's Church (Kisha Shën e Premtes) built in 1280; Clock Tower (Sahati) built in 1817; Bukaq Bridge (Ura e Bukaqit) built in the 18th century; Depots of the former Karpen Saltern (Depot e ish-Kripores së Karpenit) built in the 17th century; Bashtovë Fortress (Kalaja e Bashtovës) built in the 15th century.